Dr. T.O. Hatton was the first doctor, the first merchant, and the first postmaster. Other postmasters have been: J.S. Martin, R.C. O’Bryant, J.R. Sloane, H.L. Allmon, C.M. See, T.E. Mayes, N. Warner, MV. Helton, I.A. Sprouse, T.B. McCartan (incumbent), H.P. Winks. 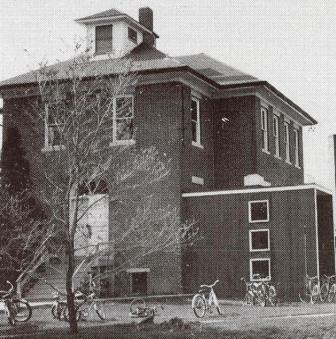 The first teacher in Alma public schools was Hugh Moor. Alma has had as teachers, J.B. Abbott, J.E. Whitchurch, and J.S. Knisley - in all four men who were county superintendents of schools." The exact dates of operation for the high school in Alma are a little cloudy. We believe that Alma High School may never have offered more than two-years of high school education. 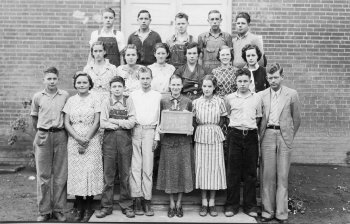 Alma High School ceased offering high school curriculum in 1940. 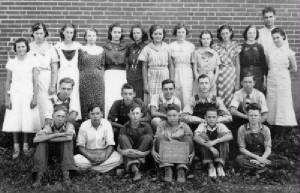 The high school-aged students of Alma were bused to Kinmundy to attend Kinmundy High School beginning in the Fall of 1940. The Alma School District continued to support a 1 - 8 grade school for 12 more years. It was in 1952 that the school districts of Kinmundy and Alma actually consolidated. 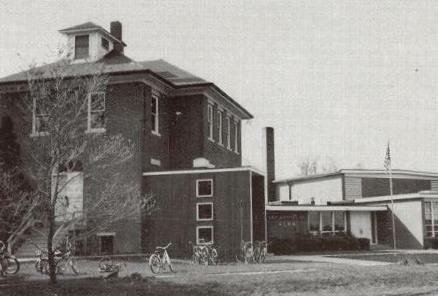 It appears in research conducted on the neighboring town of Kinmundy that Kinmundy-Alma High School District was established in the Summer of 1952. Alma High School competed in boys basketball with other schools in the area. It is probable that baseball and possibly track were offered as well. It is possible that Alma High School athletic teams did not utilize a mascot or have a school fight song. Coach's names and team records are needed as well. If you have this information, please contact us at ihsgdwebsite@comcast.net. Scores involving Alma High School participating in the IHSA State Tournament were located on a website titled "Illinois Postseason Basketball Scores." These scores are posted below. Season records, coaches' names, and other information regarding Alma High School basketball are needed. 1936-37 through 1939-40 Postseason scores, records, and coaches' names needed. We are sure that attending Alma High School was an well-rounded experience. School plays, dances, clubs, and other activities were probably offered to the students who attended there. If you have any of this information, please contact us via the means listed below.